Christchurch is the largest city on the South Island, and has plenty of choice when it comes to eating, drinking and sleeping. 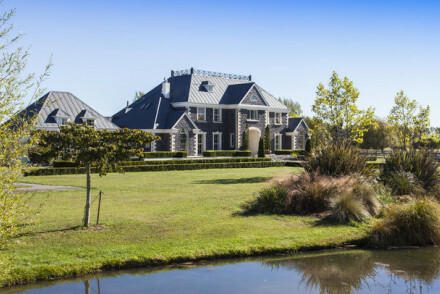 Some of the best places to stay in Christchurch are the wonderful old country houses just outside the city proper, most offer wonderful tranquility in beautiful grounds, but just a short drive from all the action. Christchurch has always been the most English of New Zealand’s cities, somewhere you can punt on the River Avon or take tea in the Botanical Gardens, but these days many of us are most familiar with the look of the city post earthquake. Christchurch suffered three major quakes, in 2010 and 2011, so the city is still rebuilding. There are empty lots, but interesting art installations fill many voids and there’s plenty of positivity about each new re-opening. Additionally, many of the unmissable sights in Christchurch remain intact and beyond the city itself you’ll find several wildlife reserves and parks offering a range of activities to suit all ages. Often referred to as 'The Garden City' - it's quickly obvious to visitors why. Beyond the beautifully maintained public spaces, Christchurch's Botanical Gardens are a stunning array of New Zealand flora and fauna set in the heart of the city. Experience New Zealand's rich cultural and natural heritage alongside rare artifacts at the Canterbury Museum. Visitors can also be transported back in time to the age of exploration of the Antarctic with various exhibitions. Take a memorable ride on the TranzAlpine train from Christchurch to Greymouth - coast to coast. Unlike a regular passenger train, the carriages are set up to provide the best possible view for passengers from the Canterbury plains to the majestic Southern Alps through to lush forests, allowing travellers to experience all the diverse scenery that New Zealand has to offer. Have an extremely cool adventure at the International Antarctic Centre with various freezing replications including snow every six minutes and an Antarctic storm. There's no shortage of things to do in this frozen playground, guaranteed to be fun for all ages. Our pick of the best places to stay in Christchurch range from chic city pads to luxury lodges just out of town ensuring that all visitors will be able to find something to suit their holiday intentions. 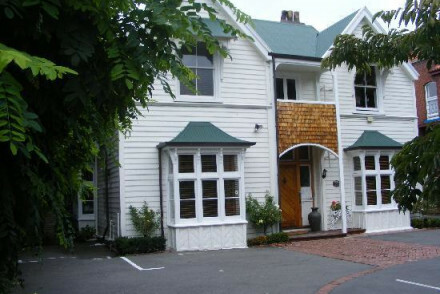 The George is a 53 room boutique hotel in the heart of Christchurch. Here you’ll enjoy top facilities and great views, both inside and out - inside there’s local art, and outside there’s Hagley Park. The George has two award winning restaurants, and free mountain bike hire. The Classic Villa is a bright pink boutique B&B converted from a Canterbury villa. Rooms have all the mod. cons. and there’s a delicious, Mediterranean style breakfast on offer. 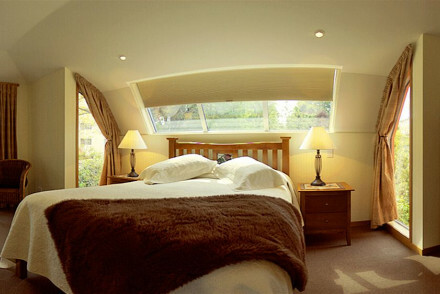 The Grange Boutique B&B and Motel has just six rooms and studios, converted from a Grade II listed Victorian mansion. Rooms are large and you’re close to the centre of town. And all starting from under £120 per night. Finlay Banks Boutique Bed and Breakfast is a great value, two room B&B with a lovely outdoor patio and rose garden. You’re just ten minutes drive from the centre of town, and can expect a generous breakfast laid on every morning. At Otahuna Lodge, a wonderful old country house, surrounded by nationally recognised, stunning gardens more than a hundred years old, guests stay in light, spacious rooms decorated with antiques. And enjoy great food - or cooking classes - care of a fantastic onsite chef. Stoneleigh Lodge is a luxurious lodge, set within 20 acres of its own landscaped grounds - some of which is now an alpaca farm. 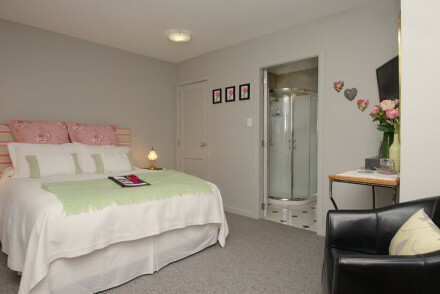 Rooms are large and light, and you’re slightly out of town, en route to the wineries. Clearview Lodge is another luxurious lodge set within its own grounds. Here you can stay in a tasteful decorated suite, surrounded by olive groves, orchards and grape vines. 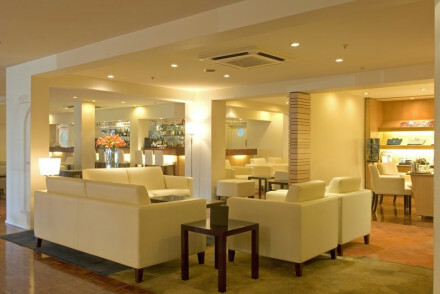 Fly to Christchurch Airport a mere 10km (6 miles) outside the city centre with fantastic connections across the globe. Catch a ferry across the picturesque Cook Strait between the North and South Islands with ferries able to transport cars as well. To explore the dramatic scenery and extensive vineyards beyond Christchurch, you may want to rent a car - for prices, we recommend using our online partner Rentalcars. Best time to visit - visitors to Christchurch are in the enviable position of being able to take advantage of the city's versatility across the seasons. Enjoy the huge snowsports scene in the winter seasons (June-August) or explore the extensive vineyards during summer (December-February). A charming and colourful family run boutique B&B run with two ensuite rooms. A lovely outdoor patio in the rose garden, generous breakfasts and nice touches like chocolates in rooms. Ten minute drive to Christchurch city centre. A range of rooms and studios available in a family owned and run establishment. B&B section in 1874 heritage grade-II listed Victorian mansion, Motel in newer building. Rooms are large, spacious and tasteful. Close to centre of Christchurch and sights such as Botanic Gardens. Boutique B&B in bright pink Italian style villa in Canterbury. Rooms with top amenities and nice views. Delicious Mediterranean style breakfast with fresh tropical fruits and local produce. Eco-friendly and close to sights such as Botanic Gardens. 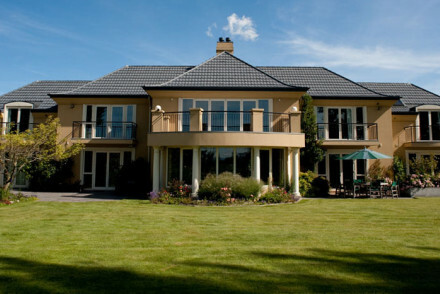 Luxury lodge with three tasteful and spacious suites just 15 minutes from Christchurch city centre. Set on 10 acres of vines, olive groves and orchards in a peaceful setting. Array of wild birds in garden and glorious outdoor seating area by pool. 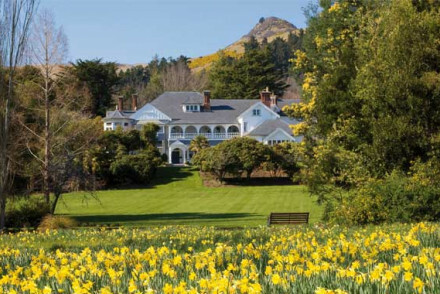 An historic mansion set in lush gardens at the foot of the cone of an ancient volcano. All suites have private sitting rooms and en-suite bathroom. Breakfast and 5-course dinner included using home-grown organic ingredients. A quiet country retreat, with many walking trails and sights close by.